For nearly 50 years, Orren Pickell has enjoyed a reputation for excellence as one of Chicago’s best luxury custom home design/build firms. In addition to our design/build team, we offer full-service remodeling, maintenance, and custom cabinetry. Orren Pickell Design Group – Luxury custom home designs are uniquely tailored to fit each client’s wants and needs. Our President and lead architect, John Forehand, brings experience gained at both Darcy Bonner and Booth Hansen to every new home design and remodeling project. 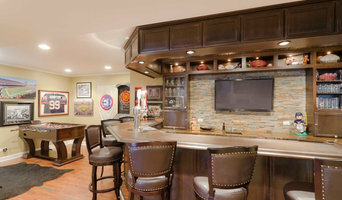 Orren Pickell Remodeling Group - If you want to upgrade your current home, Orren Pickell Remodeling Group handles whole house remodels, home additions and expansions, kitchen remodels, basement renovations, and other interior remodeling projects. Orren Pickell Maintenance Group - These experienced professionals are called upon to perform all levels of home repair. From the completion of each “punch-list” item after a new home closes, to an annual preventive maintenance program, their efforts and commitment to our clients keep each custom home in optimum condition inside and out. From initial architectural concepts through move-in, we provide exceptional service to homeowners and clients in Illinois, Wisconsin, Indiana, Michigan and beyond. Find out why working with a second-generation custom home builder means a better experience from start to finish. Chicago Area Leading Kitchen & Bath Remodeler-Best of Houzz 2013-2016! We are a full service remodeling solution and take each of our unique designs from concept to completion. Hey, thanks for stopping by and taking the time to learn more about us. Briefly, we are a full service contractor providing services in the way of design, project management, remodeling, painting, cabinetry and handyman. To learn more about our process or services, please feel free to call us anytime 847.579.1600 or email info@theablgroup.com. Leader Builders Corp. is an award-winning design-build firm and general contractor serving Chicago, the North Shore, the Northwest and Western Suburbs, and Naperville for over 30 years. We specialize in architectural home additions and renovations. Some of our most popular projects include second story additions, two-story kitchen/master suite additions, and bungalow dormer additions/attic conversions. 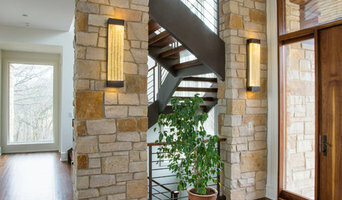 We are a full-service firm that can take your project from concept to completion, including providing you with a detailed budget estimate up front, developing professional drawings and renderings (or working with your architect and blueprints if you already have them), applying for permits, helping you select your fixtures and finishes, coordinating trades, deliveries, and inspections, and overseeing construction for a quality result. We pride ourselves on providing a great customer experience - our clients return to us with multiple projects over the years, refer their friends and family, and give us great reviews. Here are a few secrets to our success: 1. Our business is just the right size to handle complex projects while still being able to give each project the individual attention it deserves. Our project managers are intimately familiar with their projects, regularly on site, and easy to reach if you have any questions. 2. We stay on top of the budget and schedule from start to finish. We begin by discussing your budget, and our proprietary estimation software allows us to provide you with a highly detailed and highly accurate estimate up front, which guides the project. Similarly, our scheduling software allows us to plan out the whole project in advance so that in-demand crews and materials will be available when we need them. 3. At the end of the day, we want to deliver you the best solution for your family's needs - even if this means proposing a more practical and cost-effective alternative to an expensive project. At the same time, you can be confident in the quality of our work and materials. We look forward to working with you on your home addition or remodeling project! Best of Houzz 2019-18-17-16-15-14-13-12 Award winner! Since 1977 Benvenuti and Stein has been a leading residential Design-Build firm in Chicago and North Shore area renowned for innovative design solutions for additions, custom cabinetry, interior remodeling projects and the expert construction of custom homes. Our company’s success is based on quality craftsmanship and client care. We believe “Listening” is the most important tool in the business and carefully created residential remodeling must reflect each homeowners lifestyle and preferences. This is critical whether it relates to a simple new cabinetry project or the construction of a new home. We take pride in the company’s ability to blend old & new: the attention to detail of old master craftsmen with today’s ideas, style and technology and we have been building client trust for 41 years. Give us a call or message today to learn how we can partner with you on your next project! Reynolds Architecture, founded in 1995 by Doug Reynolds, is an architect-led design-build firm located on Chicago’s North Shore. For the past 20 years, Doug and his team have designed and built over 150 distinctive custom homes. Commissions include the North Shore, Barrington, Chicago, Wisconsin, Michigan, and Colorado. The firm’s philosophy is to design and build architecturally significant homes and ensure superior construction. While Doug’s designs can be described as classic and historically inspired, the latest technologies and energy conservation methods are integrated into every project. Great care is given to discussing each client’s vision, lifestyles, aesthetic, unique site conditions, and budget. In addition, Reynolds Millwork offers distinctive custom cabinetry and millwork that complement each home’s design and clients individual needs. Doug is a licensed architect and member of The American Institute of Architects. He and his team have received numerous awards and recognition for their expertise and excellence in the fields of architecture, design, and construction. Coco Design & Build Co.
Coco is a Chicago-based interior designer who takes pride in her ability to transform spaces by bringing ideas and inspirations to life. Having spent over 20 years as a trained Designer, she has developed a keen eye for creating awe inspiring surroundings. Although she has experienced working on Chicagoland's largest homes and budgets, Coco is also adept in finding creative ways to help budget conscious clients design their dream spaces. Coco's mission is creating interiors with a fresh perspective that uniquely reflect the client's personalities and desires. The result enables each individual style to emerge into the design that will inspire and promote their well-being. Coco graduated from Harrington College of Design with a bachelor of arts majoring in Interior Design. New Concept 180 is an Award-Winning design+build+remodel construction company offering professional remodeling services with emphasis on additions, kitchens and bathrooms. From the beginning every customer is treated fairly and with total respect. Our craftsmen are all skilled, professional and courteous, and our entire team is knowledgeable in all aspects of home remodeling. We fully understand that one of the biggest frustrations for homeowners undergoing a remodeling project is communication, so we strive to communicate all aspects of the job before the job is started. Eliminating potential problems before they arrive keeps everyone happy and insures that our customers will keep coming back. Best of Houzz 2018, 2017, 2016, 2015 and 2014 Design Award. Custom home builder, design-build, general contractor and renovations. Our homes have been featured in the Chicago Tribune, Western Suburban Living, Naperville Magazine, Midwest Home Chicago, Chicago Luxury Tours and Live Downtown Naperville Tours. Midwest Home Chicago also selected one of our homes for the cover of their magazine. Lugbill Designs is a full-service interior design and remodeling firm serving the Chicagoland area. From paint color consultations to luxury $200,000+ bathroom and kitchen remodels, we tailor our design picks and service-level to your specific needs. Lugbill Designs is dedicated to creating beautiful homes that are functional and represent our client’s lifestyles and personal tastes. Our end goal is to transform a home into a space that is visually stimulating and luxurious while staying livable and comfortable. We accomplish this by using our trained eye to combine unexpected patterns, materials, textures, and interesting color palettes to create a truly unique end product. We are Ember & Brune, a Design/Build firm. We go beyond design, managing your project from start to finish. As your sole contact for architectural drawings, coordinating construction with our approved contractors, furnishing the finished space and everything in between, you’ll look to us every step of the way. It's a streamlined process that eliminates communication issues and emphasizes a cohesive team all working for you! Homes are not one size fits all and neither is Ember & Brune. We take the time to understand your lifestyle, daily routines and family’s needs before putting our own spin on the design. Simply put, Ember & Brune creates spaces you want to live in. BDS provides a complete and professional design-build experience from the initial idea to the finishing touches. Our in-house design team will work with you to form and develop your vision. We’ll then bring to life your vision as the production and design team work together to manage every aspect of your project. Check out our blog and learn helpful hints, tricks of the trade, and what we are currently working on! Click on the gray blog link to the left. Design-build firms take on the responsibilities of architects, contractors and construction companies, all under one roof. These full-service firms focus on a streamlined design-build process — from the initial design to the estimating phase to physical construction — in the hope of creating an efficient experience for both the client and the company. Because the entire project is happening within one company, Mount Prospect design-build firms are able to overlap the design and construction phases of the project, which often speeds up the project significantly. In addition, these firms work to minimize risks for the project owner through single-point responsibility contracts. However, depending on the firm, you may still want to contact an interior designer or architect to help create the exact look you want. Here are some related professionals and vendors to complement the work of design-build firms: Interior Designers & Decorators, Landscape Architects & Landscape Designers, Architects & Building Designers, Photographers. Before deciding on a residential design-and-build company in Mount Prospect, IL, think about what you want from your new home. Do you want a large kitchen for entertaining? Do you need several bedrooms for children and guests? Do you want a finished basement for extra space or storage? Look for Mount Prospect design-builders that specialize in the areas you're looking for. Budget is obviously a determining factor in the outcome of your project. To make sure you stay within your means, consider making a must-have list and a wish list. Gauge where the estimates are falling to determine which design-build contract can realistically strike the balance between the two. Find a Mount Prospect design-build company on Houzz. Narrow your search in the Professionals section of the website to design-build firms in Mount Prospect, IL. You may also look through Mount Prospect, IL photos to find a pool you like, then contact the design-build firm that created it.